June’s Diary have teamed with Bryan Michael Cox for a new collaboration. “In with @BryanMichaelCox vibing … #WeComing2017,” the R&B quintet posted to their Instagram profile on Wednesday (December 28, 2016). Cox is responsible for co-writing and producing singles including “Be Without You” (Mary J. Blige), “You Should’ve Known Better” (Monica), “Burn” (Usher), “Don’t Forget About Us” (Mariah Carey), “Nothing” (Janet Jackson), “Never Let You Go” (Justin Bieber) and “Hold You Down” (Danity Kane). His extensive resume boasts further works with Whitney Houston (“Never Give Up”), Faith Evans (“Catching Feelings”), Tamar Braxton (“Pieces”), Mya (“Life is Too Short”), Nicole Scherzinger (“Steam”), Amerie (“Red Eye”), Keyshia Cole (“Was it Worth It”) and Destiny’s Child (“Bad Habit”). 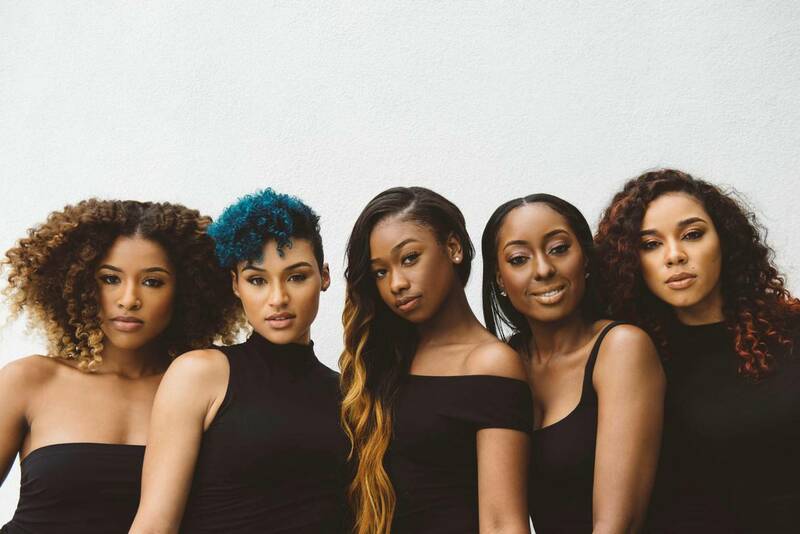 Meanwhile, June’s Diary – composed of members Ashly Williams, Brienna DeVlug, Gabrielle Carreiro, Kristal Lyndriette and Shyann Roberts – are scheduled to release their debut project via Epic Records. The still-untitled project reportedly delivers further contributions from Dem Jointz (Brandy, Christina Aguilera), Harmony Samuels (Chris Brown, Kelly Rowland), Tricky Stewart (Beyonce, Christina Milian), Stereotypes (Bruno Mars, John Legend) and Darhyl Camper (Jazmine Sullivan, Nicki Minaj). Current single “L.A.N.C.E.” – which was produced by Rashad “Hazebanga” Muhammad – is now available via iTunes, Apple Music, Amazon, Google Play, Tidal and all other digital streaming platforms. Watch the music video for “L.A.N.C.E.” below.